Wonderful color! 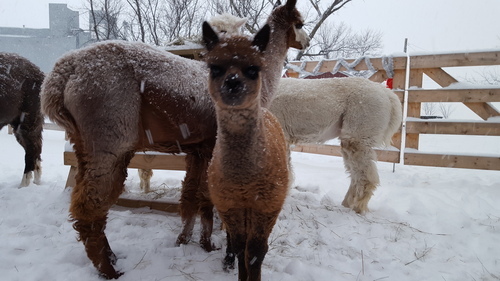 Exposed for 2019 cria! 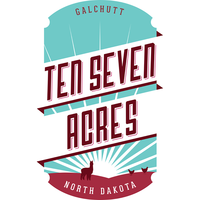 Susan was one of Ten Seven Acres first 2 alpacas. Susan has nice fiber with amazing color! Her fleece creates wonderful products. Her personality is pleasing as well. She is brave but a little timid at times and always curious and sweet. 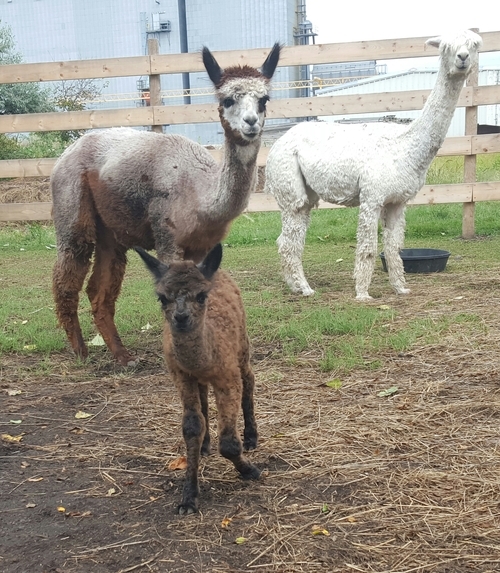 Produces quality cria! 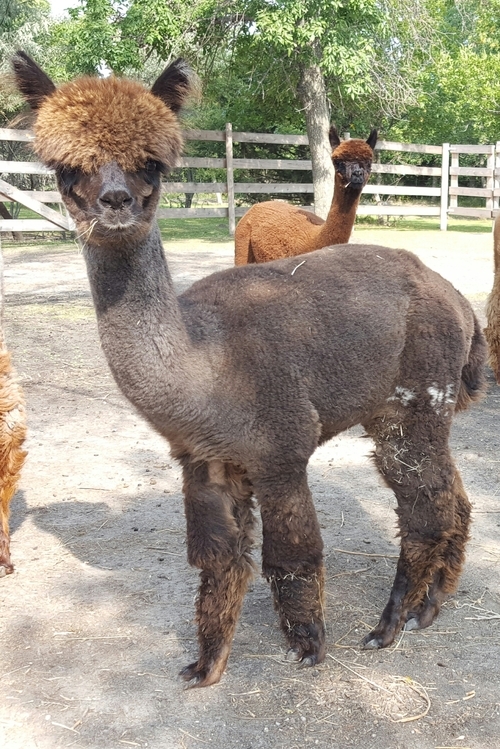 Susan is a wonderful, loving mother who has raised healthy babies! 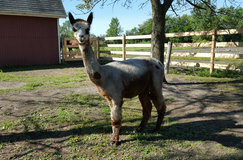 Penelope is the first cria by our herdsire TKAF Peruvian Einstein. 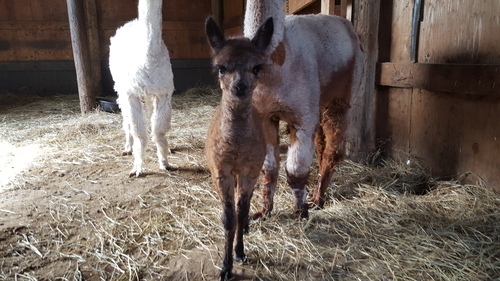 She is also Susan's first cria. She is a bit on the curious side and loves neck scratches, but she has sass! 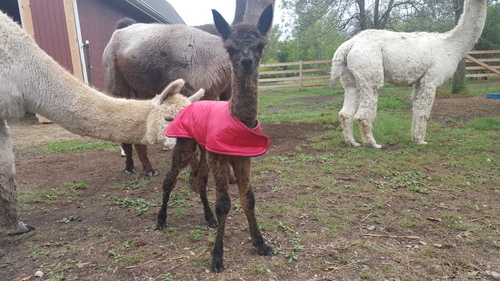 We love her dark grey fleece! It has made gorgeous yarn! She will stay back to keep building our herd.